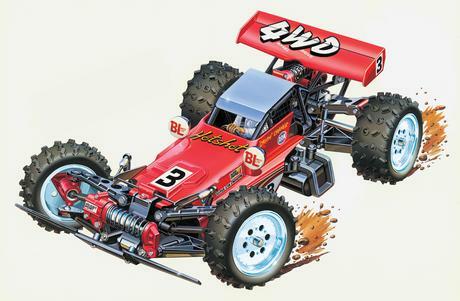 This is a re-issued R/C assembly kit of the Hot Shot. It originally debuted in 1985 as Tamiya’s first 4WD off-road buggy. 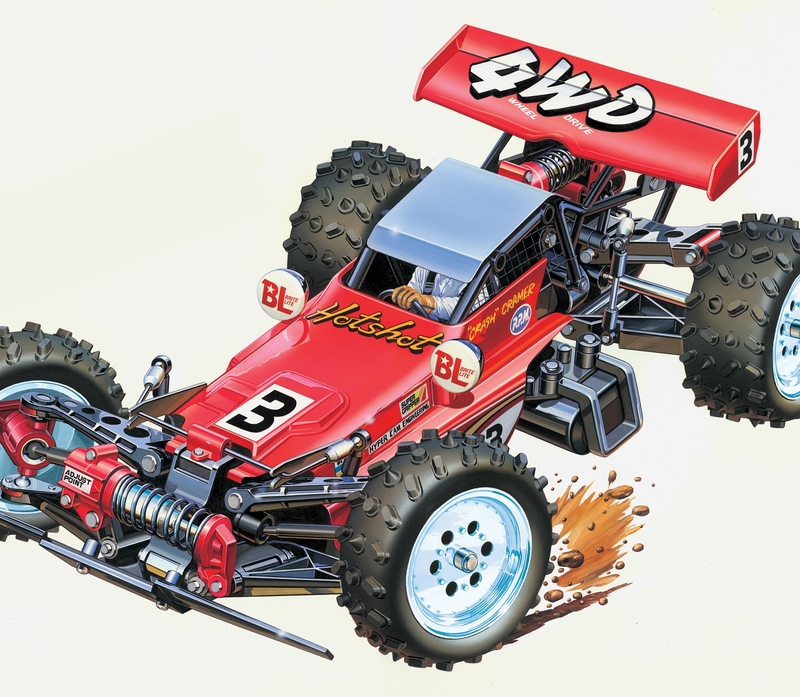 The buggy features a shaft drive 4WD system providing stable performance while running and cornering. Drive and propeller shafts feature dog bone type linkage, while front and rear differential gears provide smooth handling. Furthermore, the front and rear dampening is handled by a single mono-shock for both the front and rear suspension in addition to using sway bars to hold corning performance. Special Feature 1 Redesigned chassis features 4-wheel double wishbone suspension with unique front and rear mono-shocks. Special Feature 2 Diaphragm-type oil dampers provide stable off-road driving performance. Special Feature 3 New propeller shaft features dog bone type linkage to optimize power transmission efficiency. 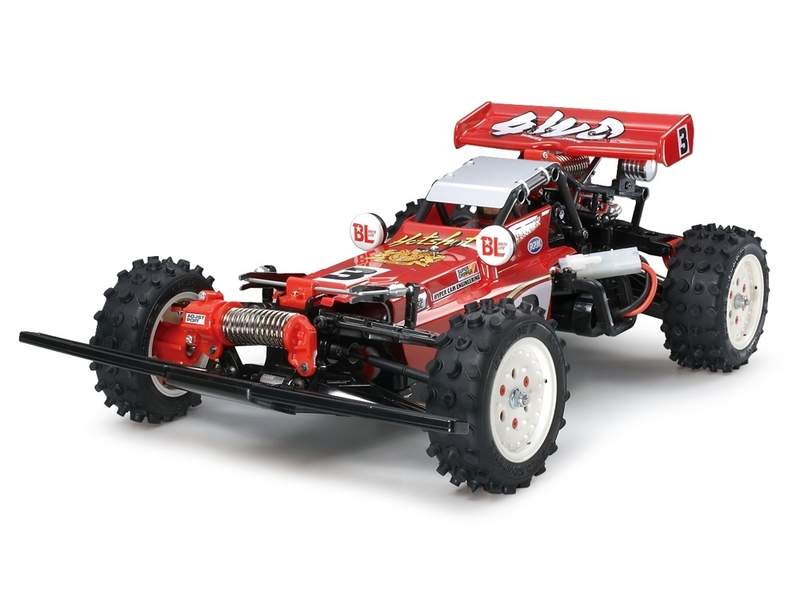 Special Feature 4 Buggy body with large rear wing remains faithful to the original styling. Special Feature 5 Aluminum heat sink helps keep the motor cool and is also an eye-catching chassis highlight. Special Feature 6 Triangular wheel hubs further enhance the buggy's unique look.